Here's a couple of images taken from Kelly and Dan's wedding at The Barn at West Farm. A new venue for me, with some stunning views across the coast at Southerndown and Ogmore-by-Sea. Unfortunately, due to the weather we couldn't see any of them! We managed to get some excellent shots despite the lovely Welsh Bank Holiday weather! 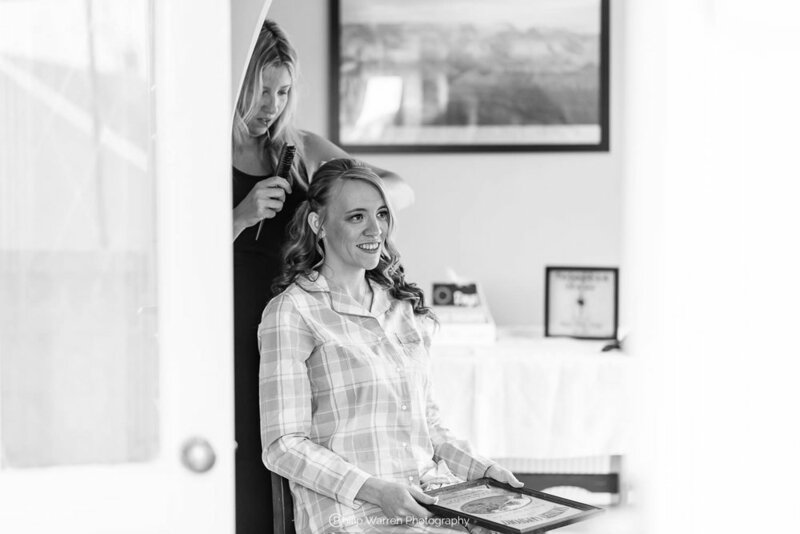 Kelly and her bridesmaids got ready at her parents' house before travelling around 20 minutes to the ceremony at The Barn At West Farm. The wedding car was her dad's classic and immaculate Land Rover. The ceremony was a lot of fun, which was definitely the theme for the entire day. After the service the couple toasted their marriage with their favourite craft beer, an IPA called Monty from Bang On Brewery. Nice! Speeches included a hilarious nod to the Jewish phrase of mazel-tov with some traditional glass breaking. Which is to congratulate the happy and significant occasion of getting married. They had the awesome band The Flicks who played some quality tunes to a packed dance floor all evening. I ended the night with my usual "wedding present" of buying the happy couple shots at the bar. Please enjoy the teaser photos from the day. 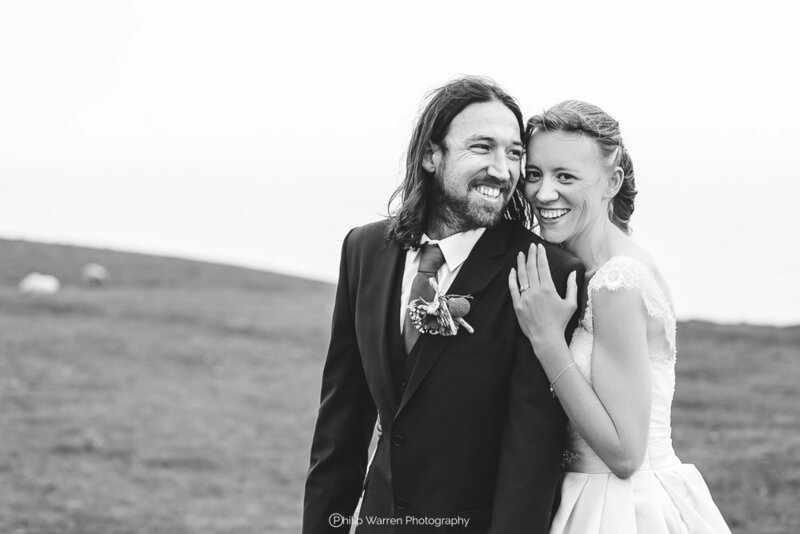 Getting married at The Barn At West Farm and looking for a wedding photographer? Please get in touch as I would love to shoot more weddings at this wonderful venue.